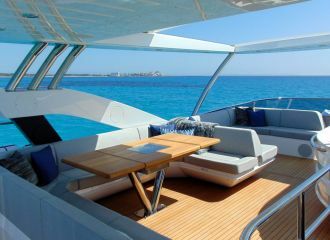 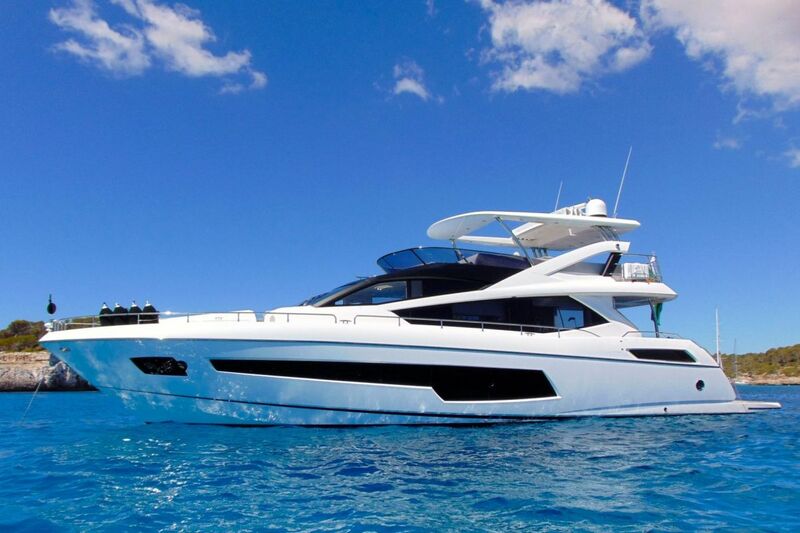 A very popular Sunseeker 75ft available for a yacht rental in Sardinia. 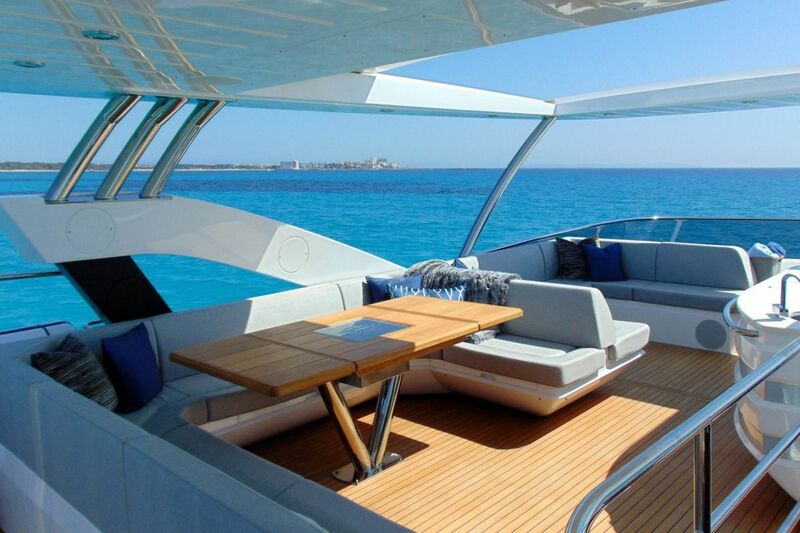 It is the ideal charter yacht for families and groups of friends alike. 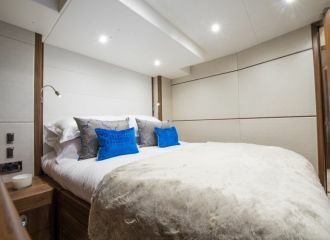 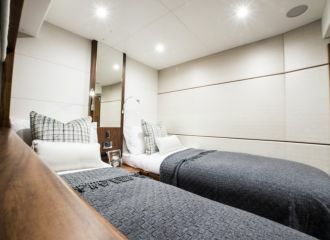 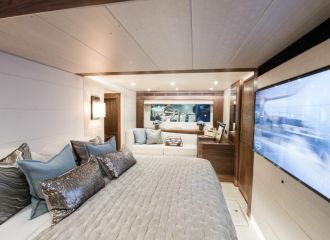 The exterior spaces of this Sunseeker 75 flybridge yacht are perfectly set up for a Sardinia yacht rental with an alfresco dining aft, a large sunbathing area and a seating area on the foredeck as well as an expansive sundeck. 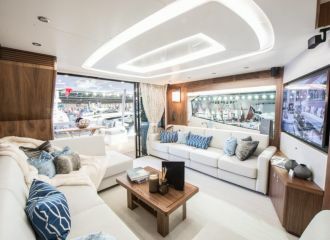 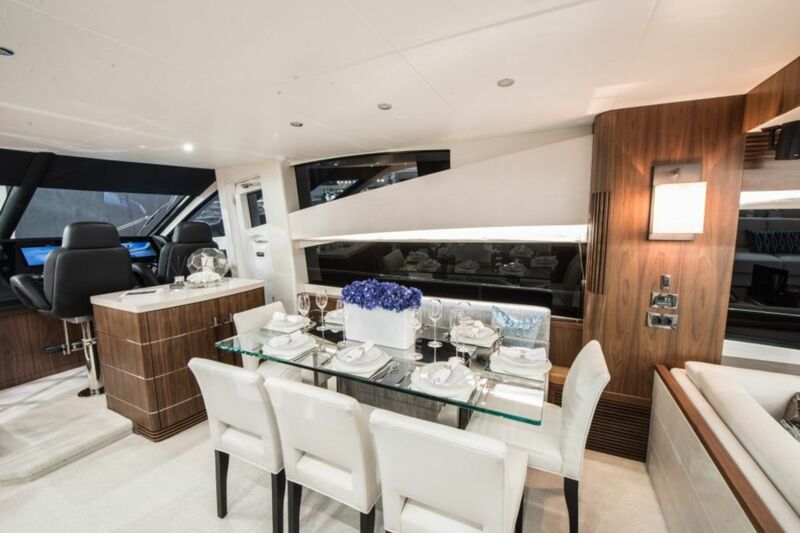 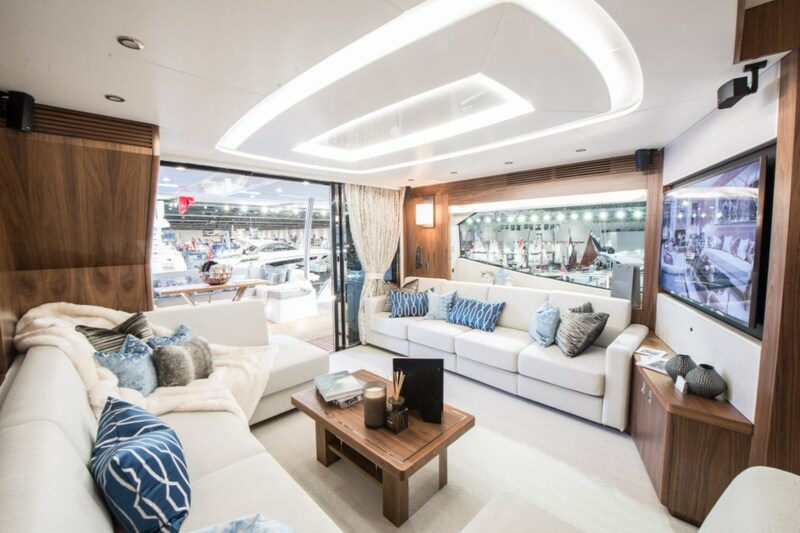 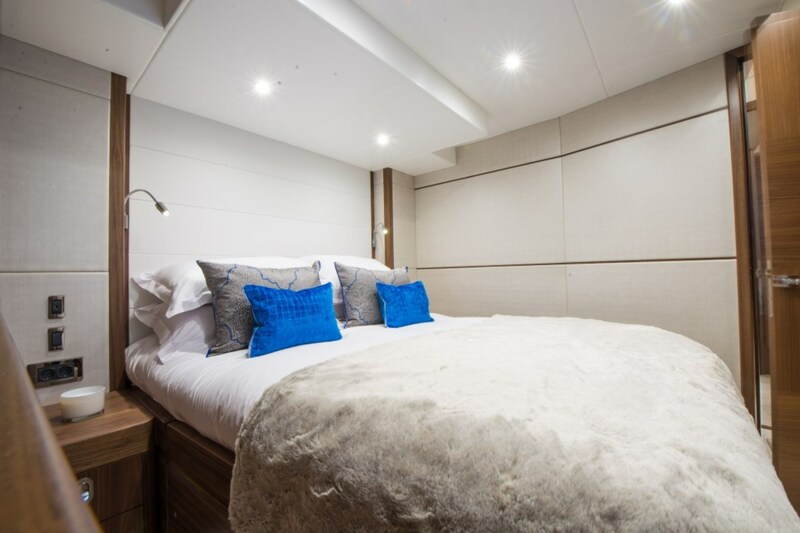 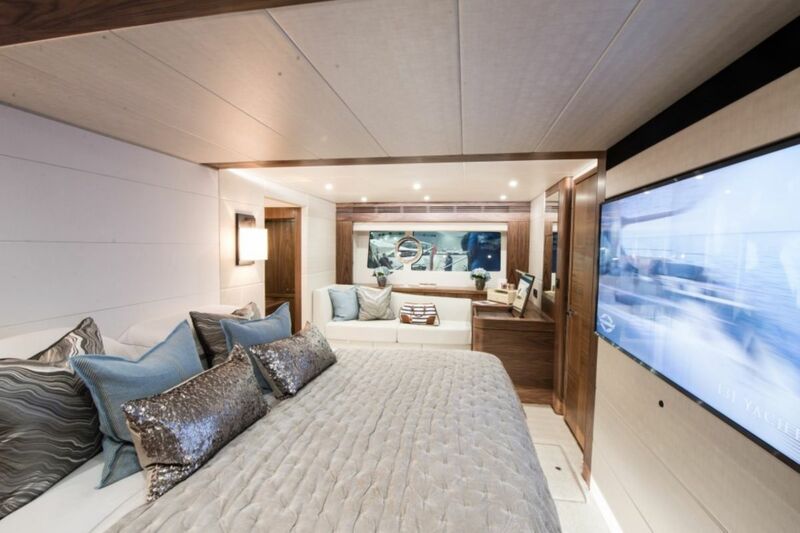 The interior of this Sunseeker 75 is bright and features a modern design with light-coloured furnishings. 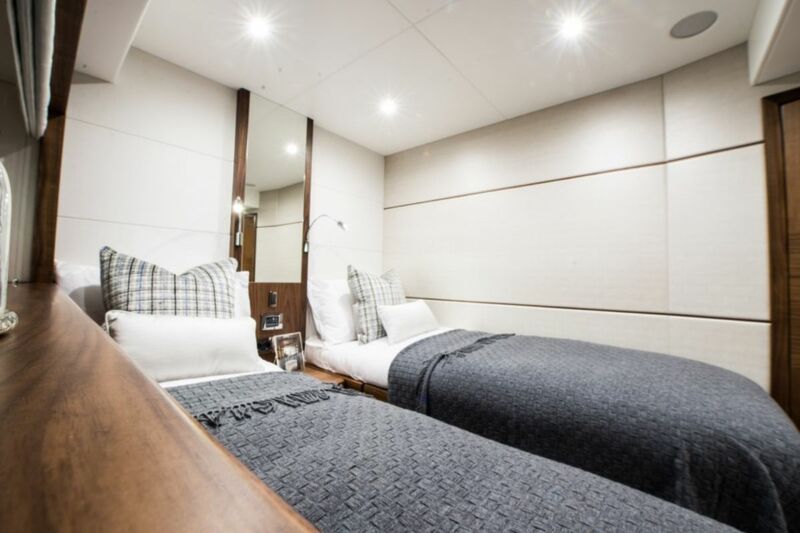 She sleeps up to 8 guests in 4 cabins. 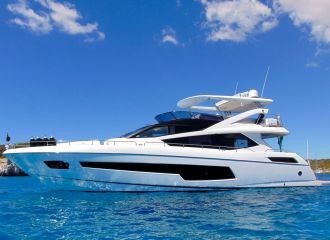 This Sunseeker 75 is a great choice for a charter vacation in Sardinia! 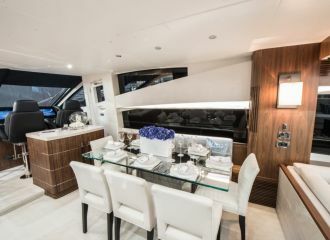 total 6250	€ Excluding VAT and APA ?